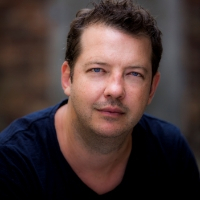 You will no doubt recognise Justin from some of his numerous stage, TV and film credits which include The Long Forgotten Dream (Sydney Theatre Company), A Strategic Plan (Griffin Theatre Company), Seven network’s Blue Murder: Killer Cop and Stan’sThe Other Guy. He’s also appeared in Foxtel’s Secret City and Pirates of The Caribbean: Dead Man Tell No Tales. Justin joins the cast of Jesus Wants Me for a Sunbeam at Riverside Theatres 18-27 October. Firstly, to work with Darren (Yap). We’ve known each other for many years. I recently worked with his partner Max and they’re both such generous and lovely people but also very clever creative people that I knew that we’d be in good hands. And Stevie Rodgers is an old friend. I’ve wanted to work on a play of his for ever so it all fell together beautifully. Also being a parent, I immediately tapped into the dilemma facing these parents and their subsequent extreme decision. Whilst I’m quite sure I’d never take that ultimate step, the all-consuming love a parent feels for their child is something I easily related to. But exploring such a decision and the way it affects those around them was something I was interested in doing. What do you think audiences will take away from it? Hard to say. It will be different for everyone I suspect. The play is dealing with big themes and life choices that it’ll be interested to hear the response. I think it’s important that they are ask the big questions and this is a “pretty” big question. What are you most excited about working in this production? Clichéd response, but honestly working with everyone. Such a wonderful cast and creative team that it’s bound to be a wonderful experience for us and the audiences. What is your relation / connection to western Sydney? What are some of your most recent works? Sydney Theatre Company: Arcadia; Flea in Her Ear; The Long Forgotten Dream. The Hayes Theatre: Darlinghurst Nights (music by Max Lambert). Griffin Theatre Company: A Strategic Plan. What advice would you give to emerging talent to help further their career? Find likeminded peers and write – create – keep throwing it against the wall and see. Justin Smith has starred in numerous stage, TV and Film productions. For theatre his recent credits include The Long Forgotten Dream, directed by Neil Armfield for Sydney Theatre Company, A Strategic Plan for Griffin Theatre Company, and A Flea in Her Ear and Arcadia for the Sydney Theatre Company. Justin recently appeared as Glen McNamara in the drama Blue Murder: Killer Cop and can be seen on the new Stan comedy The Other Guy. Prior to that he appeared in Foxtel’s Secret City. Justin appeared recently featured in Pirates of The Caribbean: Dead Man Tell No Tales, starring Johnny Depp. His other film credits include The Eye of the Storm, Around the Block, Sleeping Beauty, Burning Man, Being Venice and Angst.